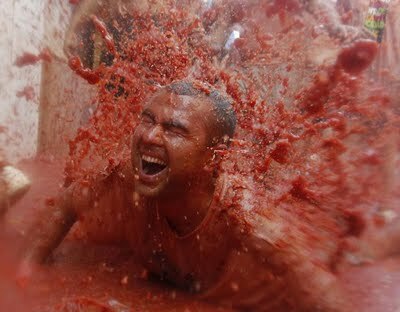 Every year on the last Wednesday of August, the townfolk of Bunol, Spain and tourists alike gather together to throw tomatoes. 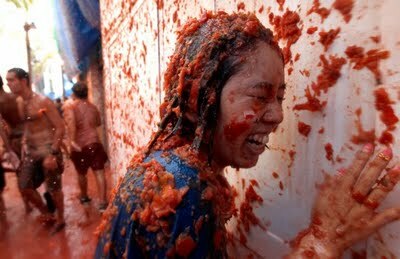 Over 100 metric tons of ripened tomatoes are hurled, lobbed, smashed, and flung in the streets which turn the town into a crimson saucy mess. 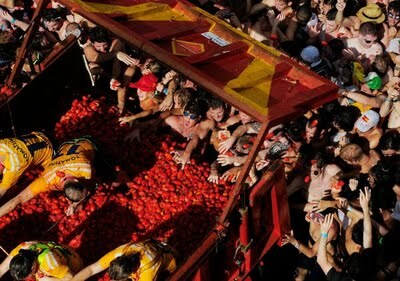 Bunol has a population of 9,000 local citizens but when the Tomatina festival begins, the population swells by another 20,000 to 40,000 visitors who enjoy the week-long festival and of course, the tomato throwing carnage. 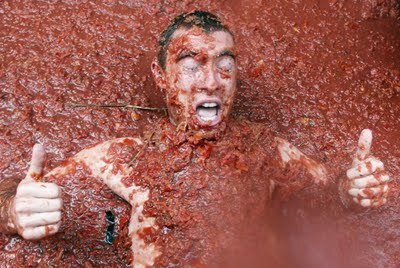 The history of this crazy festival goes way back in 1944. 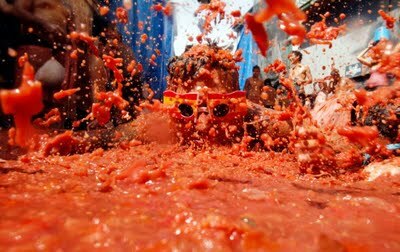 During that year some young men who wished to participate in the parade of gigantes y cabenzudos throwed the tomatoes at the people. 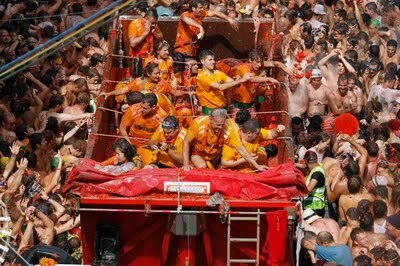 They did the same thing in next few years that unofficially established the festival. 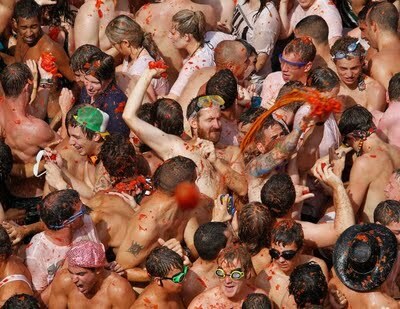 It was in 1959 when the town officially approved the festival. 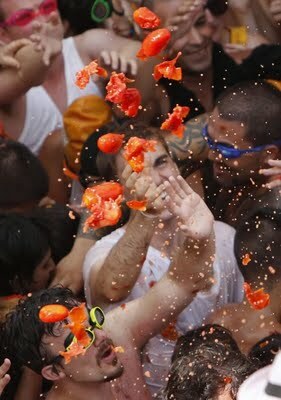 Since then La Tomatina has become one of the most popular and attractive event of the year. 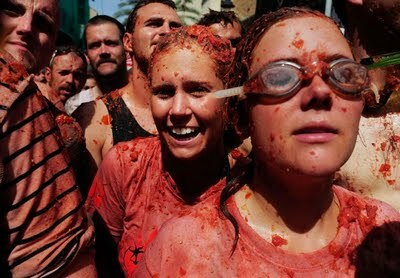 Thousands of tourists travel to Spain for the annual La Tomatina festival.